Yet again, I'm looking back at my blog and I'm seriously shocked at how much time has passed since my last "Currently." So here it is, another one of my favorite styles of blog posts! Well, this is really more of a love/hate thing... but it's about those nervous, nauseating butterflies that have been ping-ponging around in my stomach all month long. I've got them right now, and why? Because I'm thinking about Donn's Hill. I'm thinking about how in just over a month, it'll be out. People will be able to buy it. Reviews from ARC readers will start coming in. And whether they love the book or they hate it, they'll have read it. And I love that. But I also hate it, because it's completely terrifying. I'm not exaggerating in the slightest when I say I might throw up from how nervous I am. But mostly, yeah, I love it. Because just over a month from now, I'll be able to walk into at least the one bookstore that I know will be carrying it (more on that later, when I'm allowed to announce it! ), stroll over to the "Mystery" section, and see my own creation sitting there on the shelf. And then maybe, just maybe... I'll puke all over the floor. 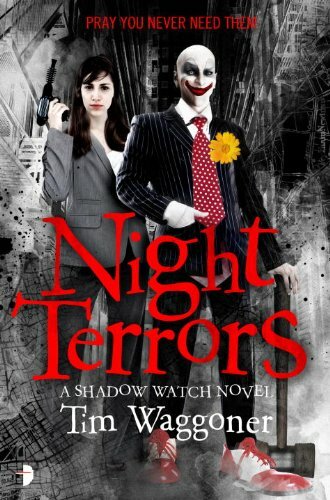 To keep my mind off my own book, I'm reading the ridiculously entertaining horror / urban fantasy Night Terrors by Tim Waggoner. I received a copy in a "bloody elephant" gift exchange during the Utah HWA's December meeting (I gifted a copy of my all-time favorite horror novel, Stephen King's The Shining) and it's the perfect novel to distract me from pre-book-launch stress. And I wish I was reading more in general, honestly. As recently as a few years ago, I was devouring multiple books in a single week. But these days, between the day job and writing and all this publishing craziness... I'm a little ashamed to admit that my new reading goal is a book a month. ONE A MONTH, PEOPLE. That's... well... *sigh*. Oh well. Someday soon I'll be back up to my normal % Daily Value of delicious fiction. The clock. Ha, ha. But seriously... time is flying by and it's freaking me out! It's nearly February. I feel like I need an extra 12 hours a day to fit in all the stuff I'm supposed to be doing. While writing that sentence, I literally remembered two tasks that I was supposed to have done yesterday that aren't done. 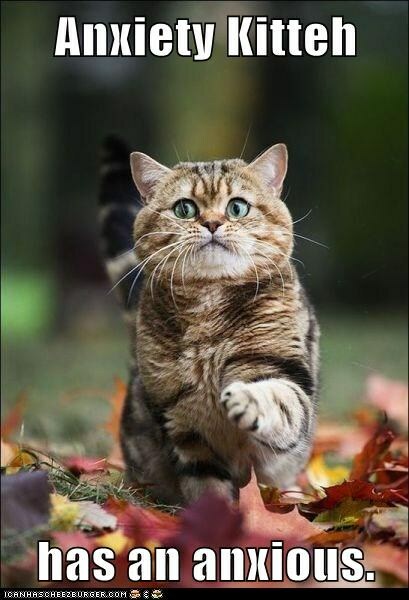 Cue Benny Hill music while I run around in a frenzy. I feel so bad for my husband. He'll say something, and three seconds later I'll come out of my fog and ask, "What?" At least 30% of my brainpower at any given moment seems to be devoted to the Donn's Hill release. There's not even time to think about the fact that my super secret project came back from my amazing developmental editor a week ago and all I've managed to do so far is skim the editorial letter and AHHHH THERE IS NOT ENOUGH TIME!!! Mid-March. Donn's Hill will have released, the launch party will have happened, and I'll be taking a teensy little break to play Zelda: Breath of the Wild. If I can get my paws on a Switch, that is. Drool. Look at all the pretty! My wish has remained pretty much constant for the last year: I want to find the right home for publishing my mystery novel, Donn's Hill. I especially hope I can find the right publisher for Donn's Hill before I start that process for my 2nd novel. I'll keep searching, querying, and trying...and of course I'll keep you all updated no matter what! My wish came true! So instead of wishing for something else, I'll just savor the fact that I found a wonderful home for Donn's Hill with Immortal Works. That's it for this month's "Currently!" Remember, if you do one of these please tag or message me @carynlarrinaga. I'd love to read what you're Currently up to!